Omaha Beach is the code name for one of the main landing points of the Allied invasion of German-occupied France in the Normandy landings on June 6 1944, during World War II. The beach was located on the northern coast of France, facing the English Channel, and was 5 miles (8 km) long, from east of Sainte-Honorine-des-Pertes to west of Vierville-sur-Mer on the right bank of the Douve river estuary. Landings here were necessary in order to link up the British landings to the east with the American landing to the west at Utah beach, thus providing a continuous lodgement on the Normandy coast of the Bay of the Seine. Taking Omaha was to be the responsibility of United States Army troops, with sea transport provided by the U.S. Navy and elements of the Royal Navy. 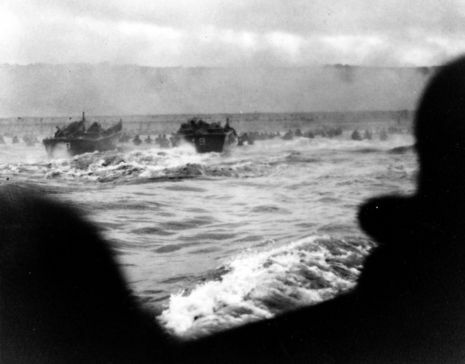 On D-Day, the untested 29th Infantry Division, joined by nine companies of U.S. Army Rangers redirected from Pointe du Hoc, were to assault the western half of the beach. The battle-hardened 1st Infantry Division was given the eastern half. 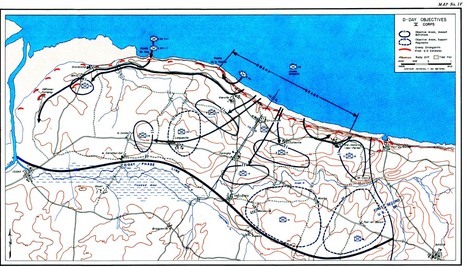 The initial assault waves, consisting of tanks, infantry, and combat engineer forces, were carefully planned to reduce the coastal defences and allow the larger ships of the follow-up waves to land. 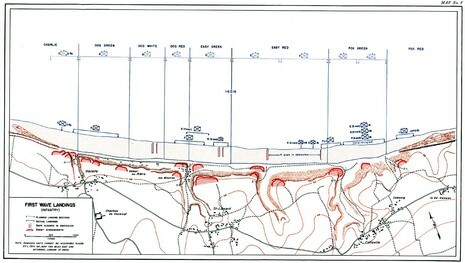 The primary objective at Omaha was to secure a beachhead of some five miles (eight kilometers) depth, between Port-en-Bessin and the Vire River, linking with the British landings at Gold Beach to the east, and reaching the area of Isigny to the west to link up with VII Corps landing at Utah Beach. Opposing the landings was the German 352nd Infantry Division, the majority of whom were teenagers, though they were supplemented by veterans who had fought on the Eastern Front. The 352nd had never had any battalion or regimental training. Of the 12,020 men of the division, only 6800 were experienced combat troops, detailed to defend a 53 km front. 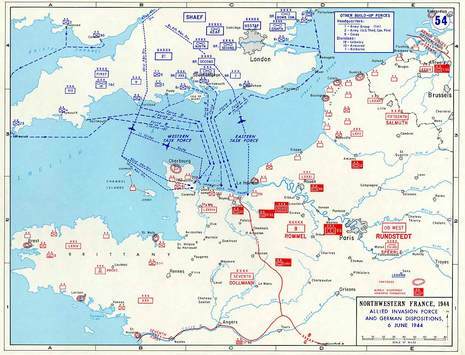 The Germans were largely deployed in strongpoints along the coast — the German strategy was based on defeating any seaborne assault at the water line. Very little went as planned during the landing at Omaha Beach. Difficulties in navigation caused the majority of landing craft to miss their targets throughout the day. The defenses were unexpectedly strong, and inflicted heavy casualties on landing US troops. Under heavy fire, the engineers struggled to clear the beach obstacles; later landings bunched up around the few channels that were cleared. Weakened by the casualties taken just in landing, the surviving assault troops could not clear the heavily defended exits off the beach. This caused further problems and consequent delays for later landings. 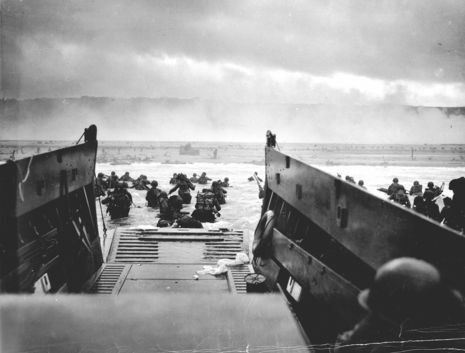 Small penetrations were eventually achieved by groups of survivors making improvised assaults, scaling the bluffs between the most heavily defended points. 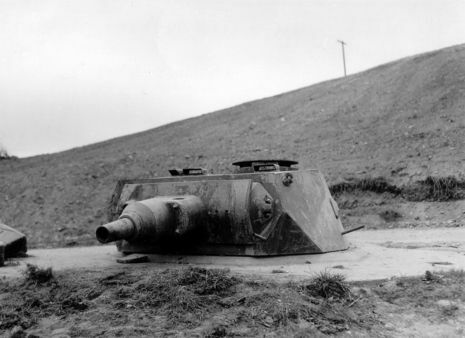 By the end of the day, two small isolated footholds had been won which were subsequently exploited against weaker defenses further inland, achieving the original D-Day objectives over the following days. This beach is now known as “Bloody Omaha” because of the 2,200 casualties suffered by the American troops who landed here on D-Day. High cliffs and strong German defences made this a formidable objective. Despite heavy losses, by the end of 6 June the US 1st and 29th Divisions, and the 2nd and 5th Ranger Battalions, had gained a foothold at Omaha.